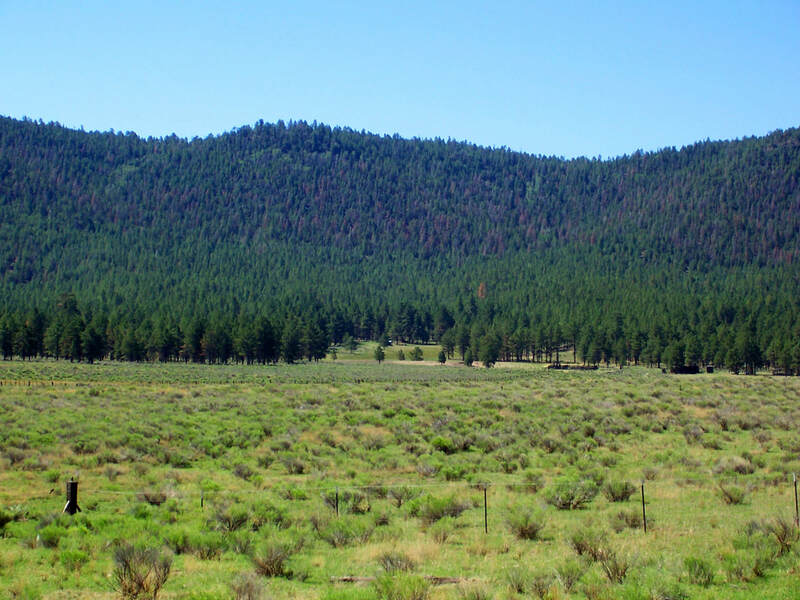 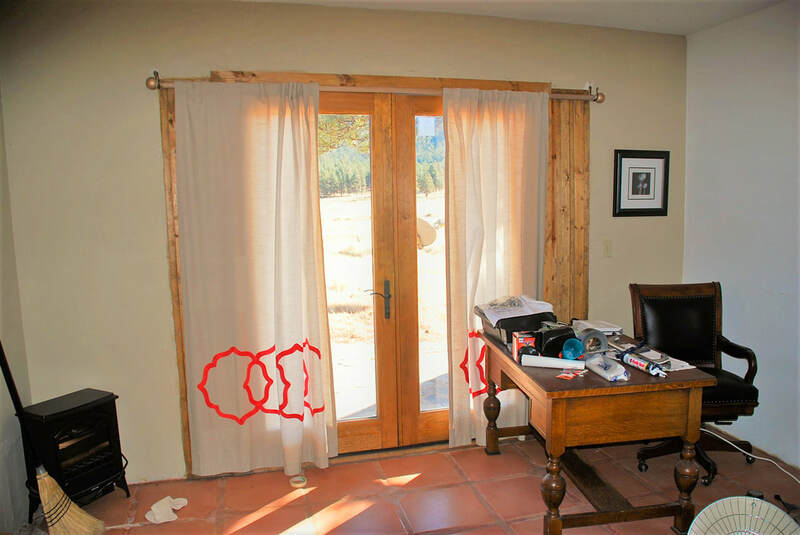 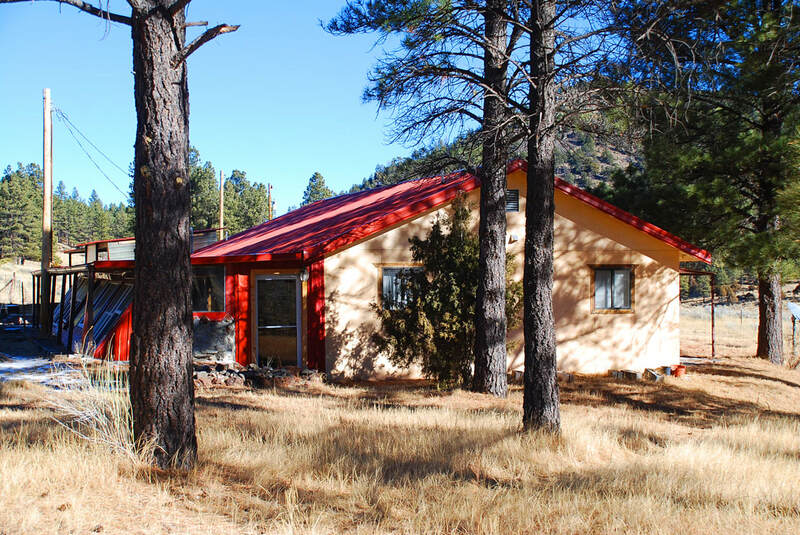 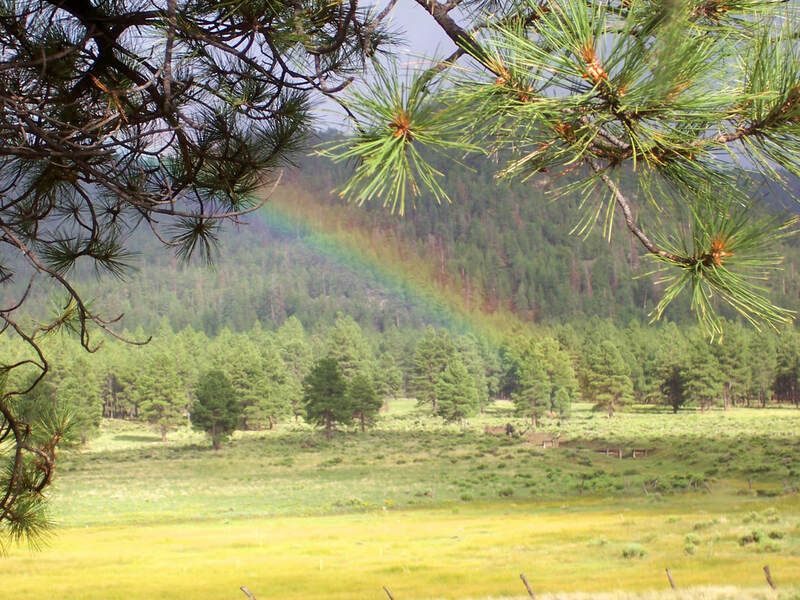 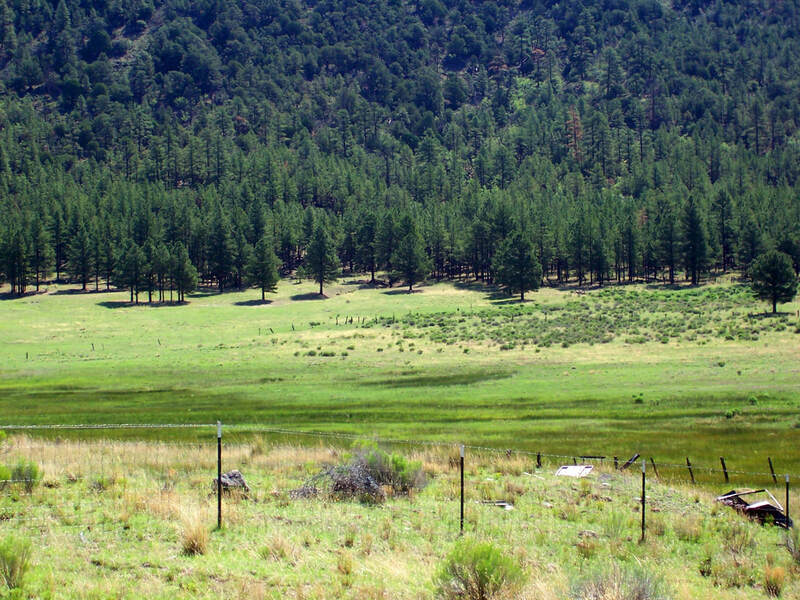 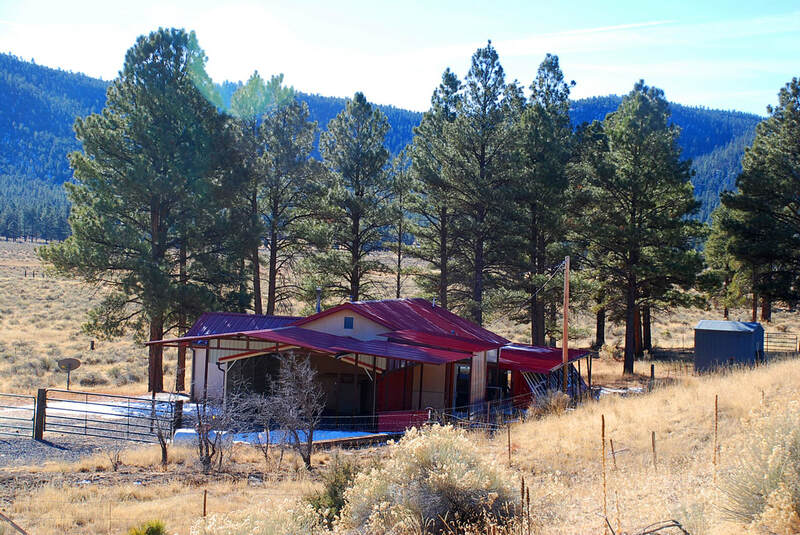 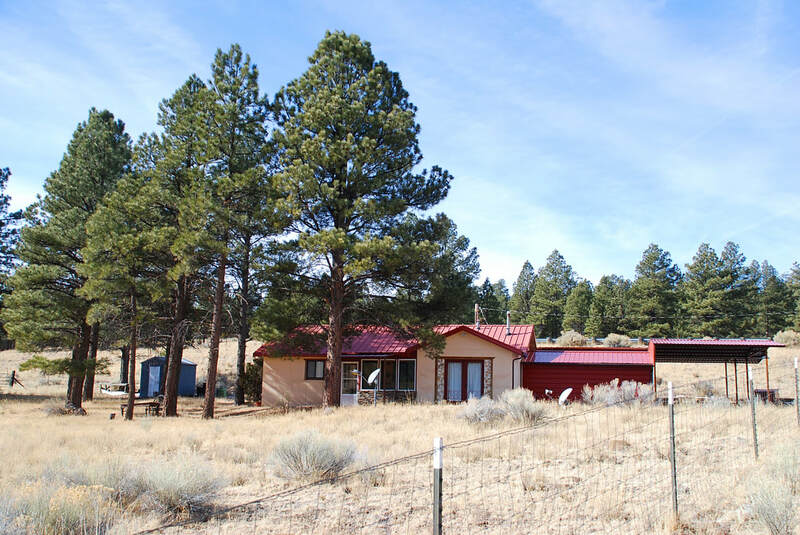 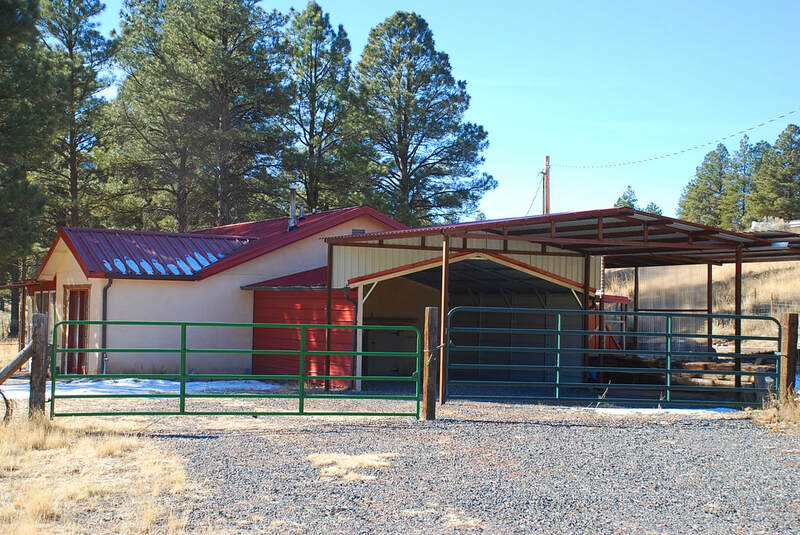 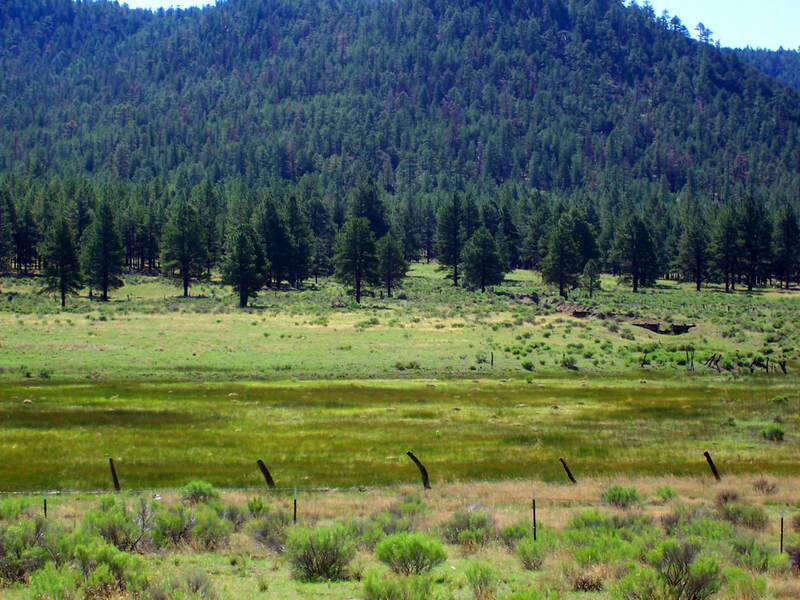 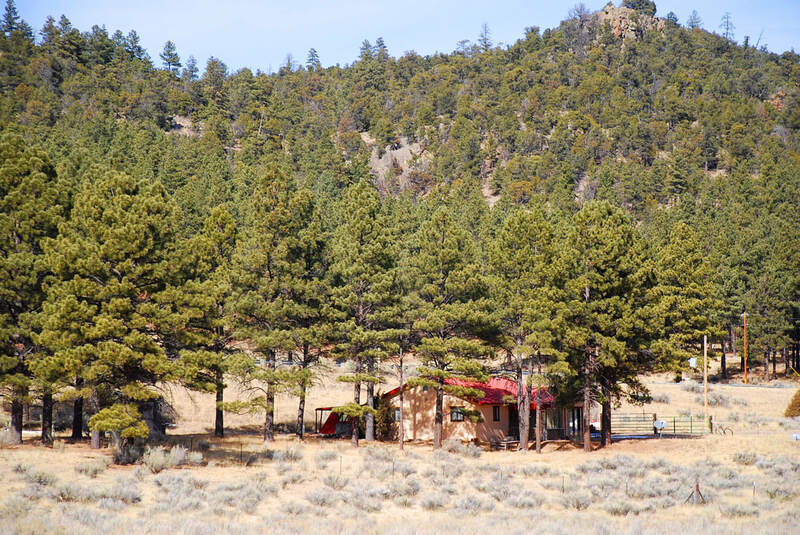 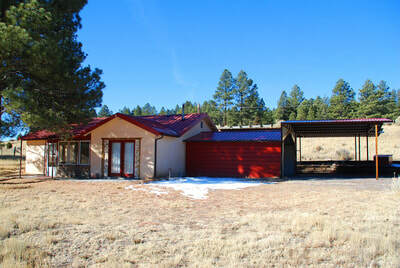 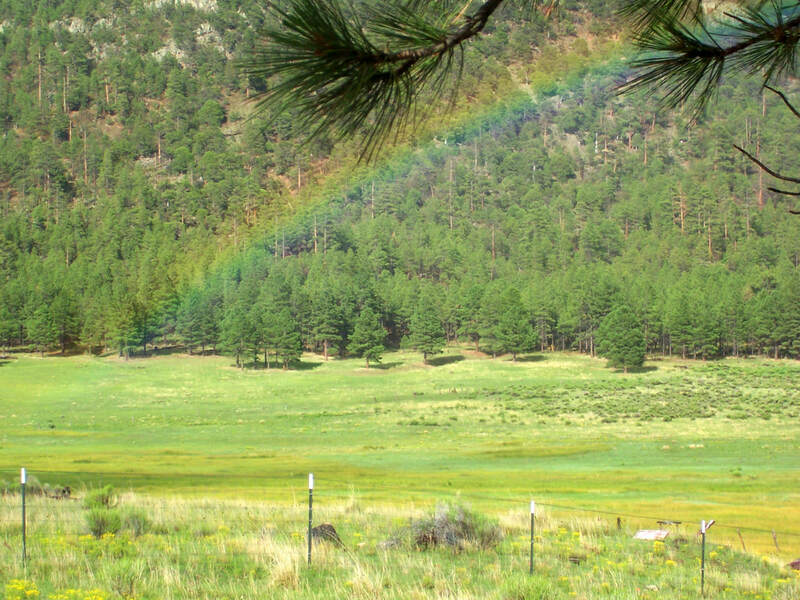 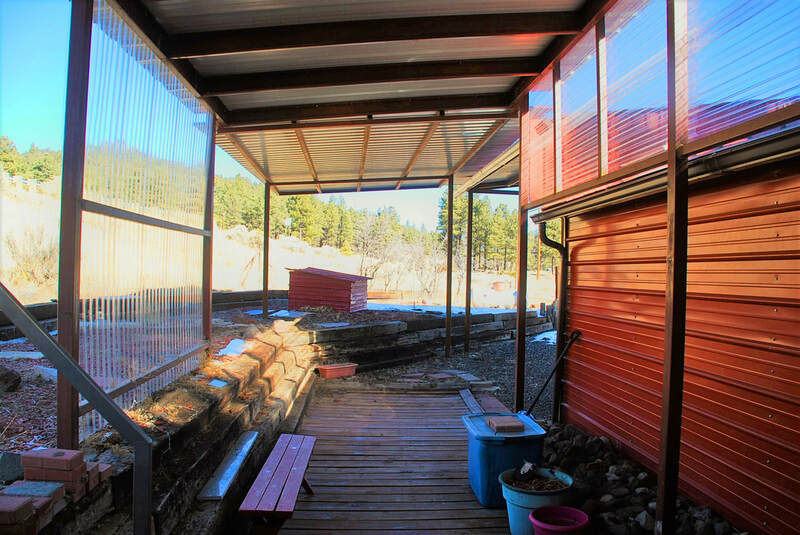 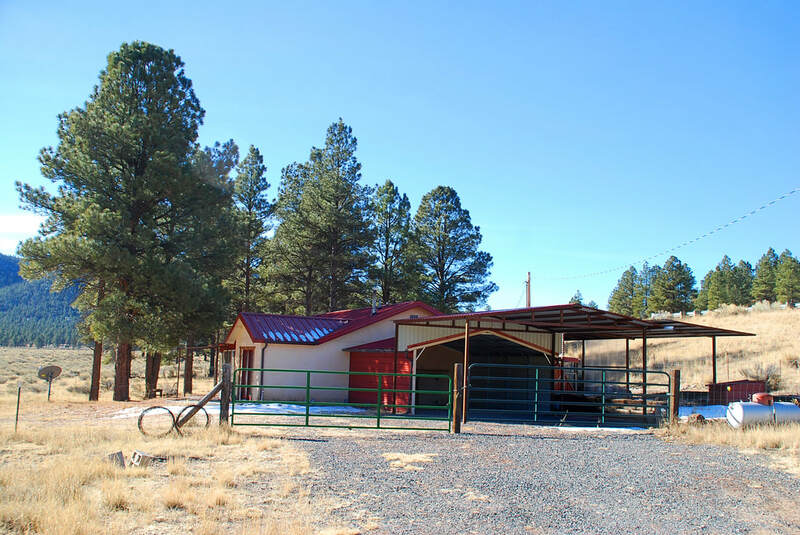 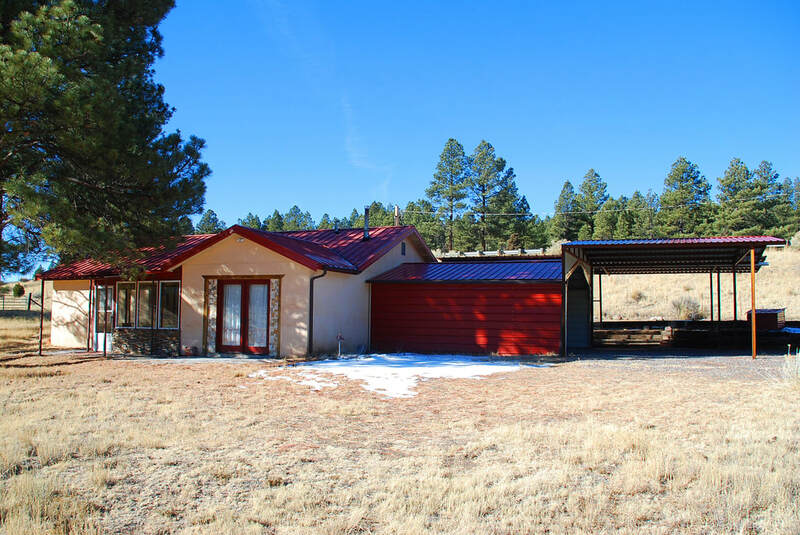 Home sits within a small Ponderosa Forest at 8,000 feet elevation, directly off of Hwy 32, easy gated deeded access, overlooks a lush sub-irrigated valley that borders National Forest which is easily accessed, watch the elk graze from this home! 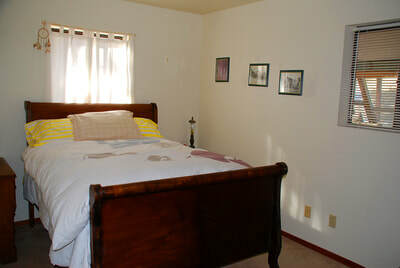 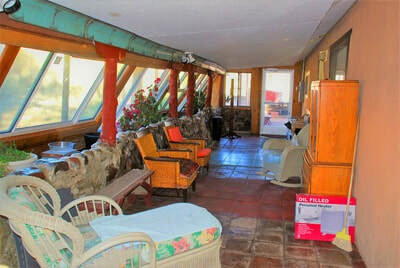 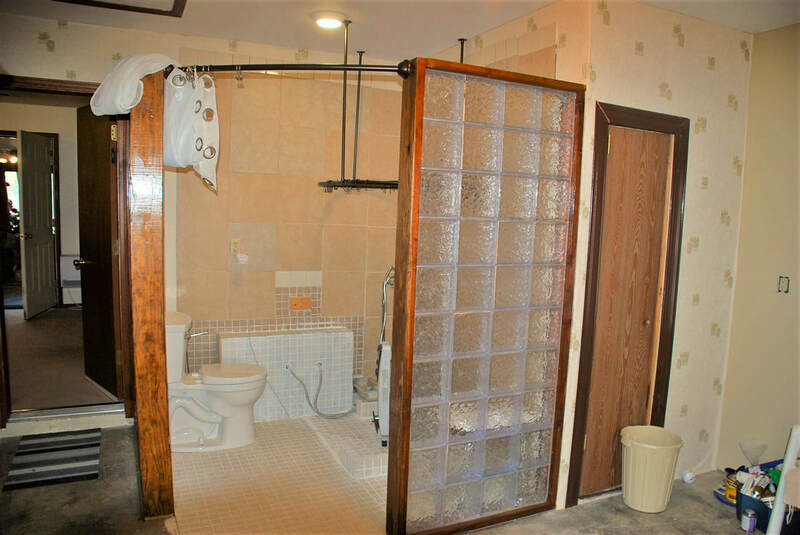 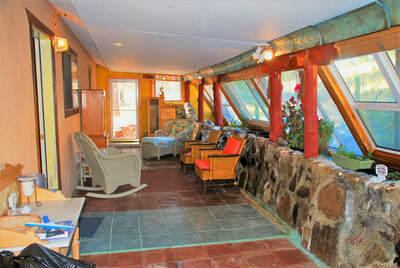 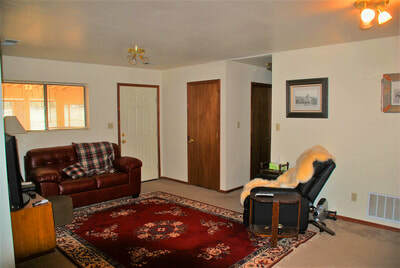 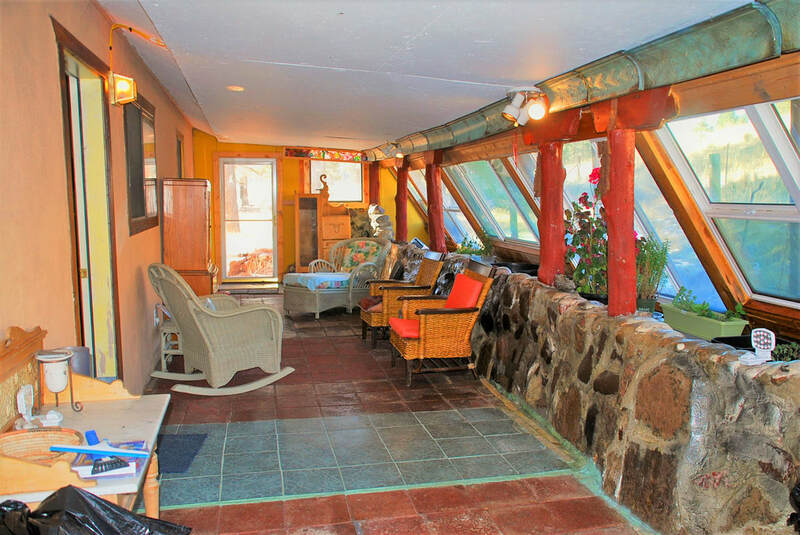 Enter through the 42'x13' tiled sunroom, house is mostly carpeted with saltillo tiles in both bathrooms. 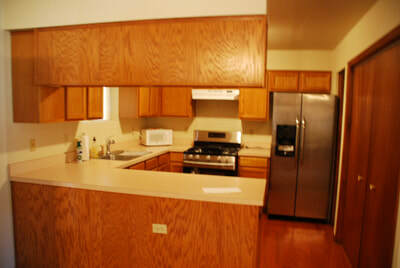 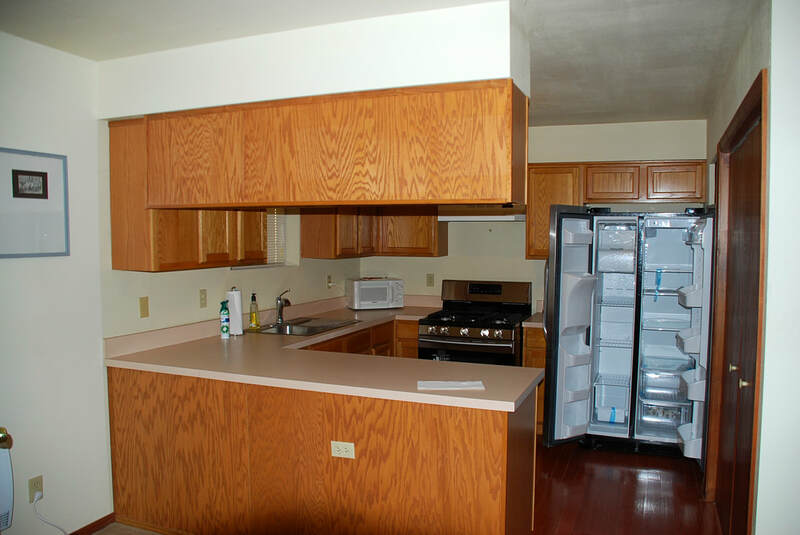 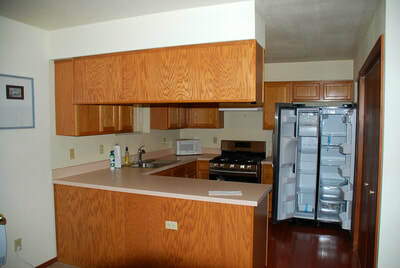 The brand-new range/oven & refrigerator convey. 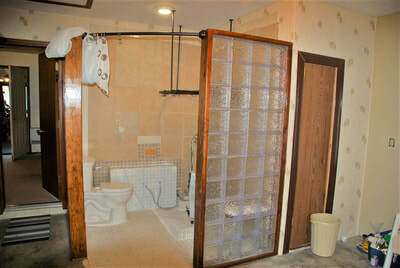 Master BR has new shower and toilet built in. 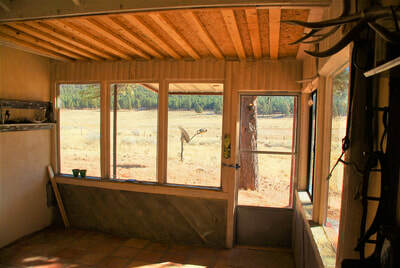 A enclosed patio faces east overlooking the meadow. Propane forced air heat is supplemented by small electric heaters. 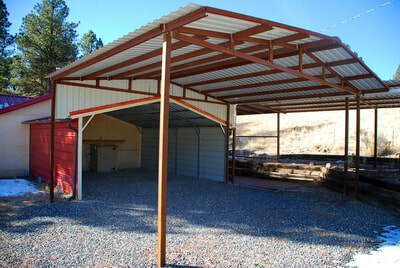 Garage and car port are metal, as is the roof of the house. 100' well, pumps 3gpm, and comes with permit for 4 acres commercial use (trailer park). 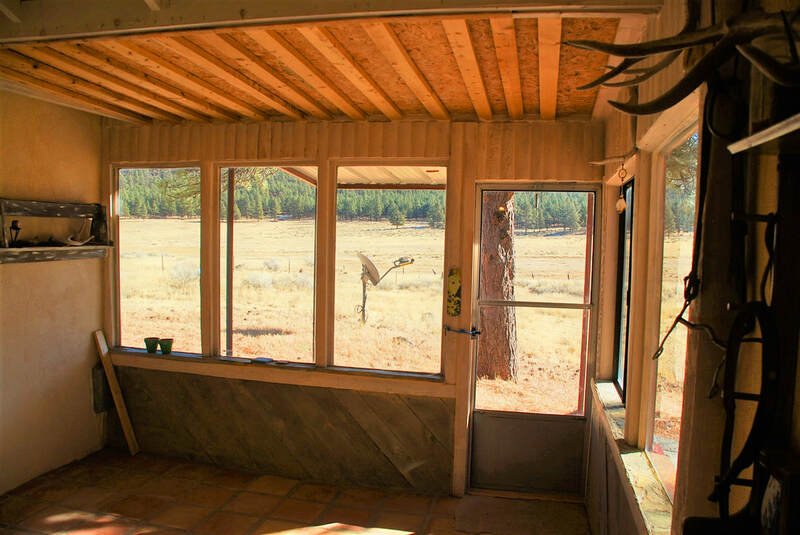 Perfect as a hunter's headquarter or family retreat. 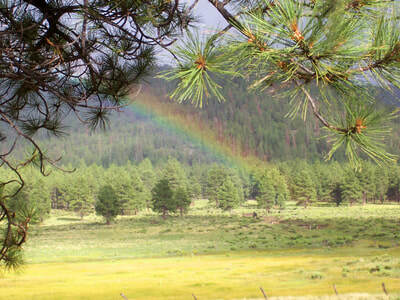 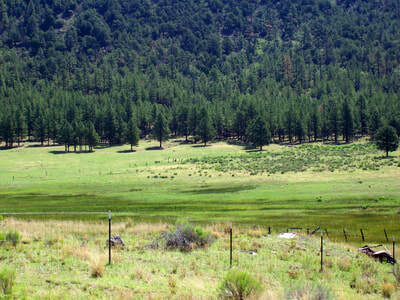 Make offer for an additional 100 acres irrigation rights. 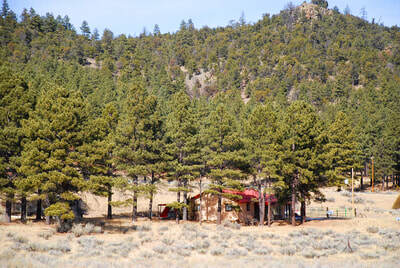 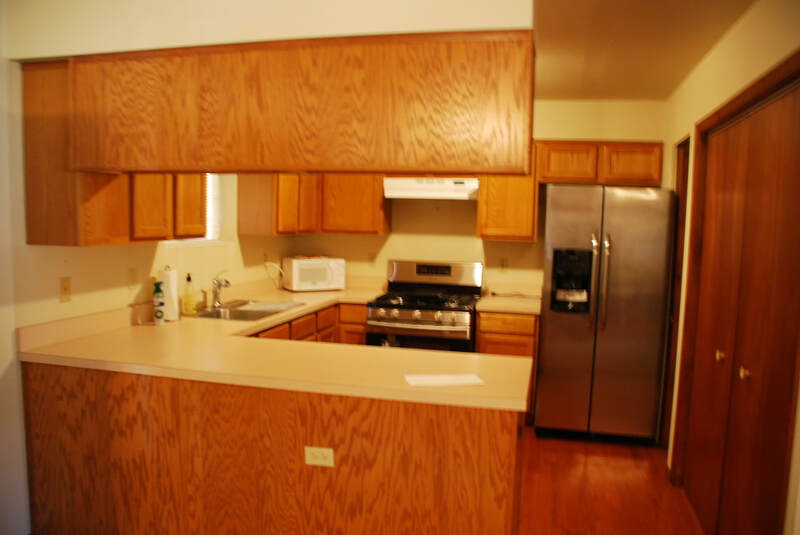 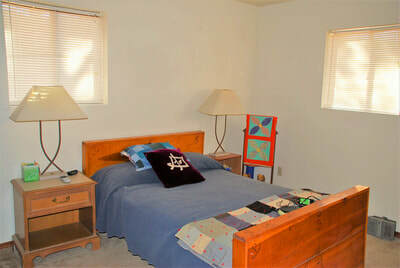 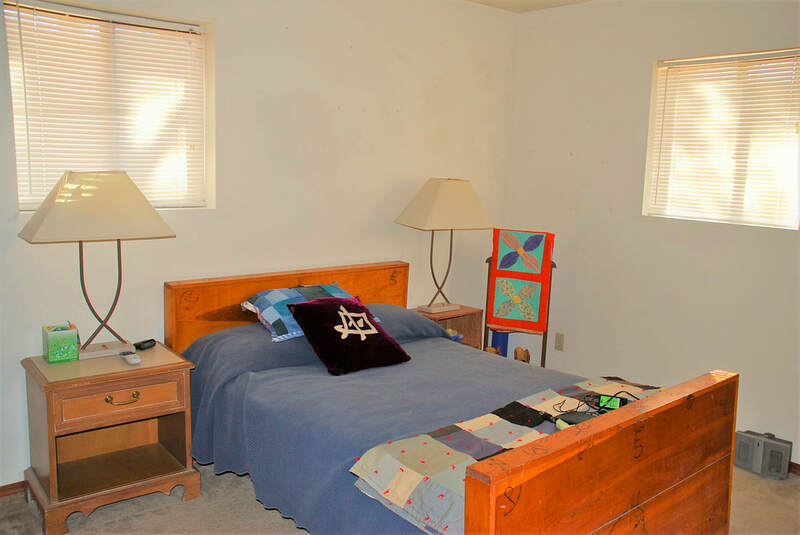 Also, 1 additional acre which is directly adjacent to this property can be added for $ 20,000.